Dr. Michael Ong has been reappointed to California’s Tobacco Education and Research Oversight committee for another two-year term. Former California Gov. Jerry Brown announced the reappointment shortly before the end of his term in office. Ong’s new term runs through January 2020. 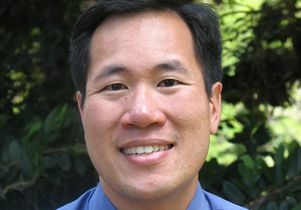 A professor in residence of medicine in the division of general internal medicine and health services research in the UCLA David Geffen School of Medicine, Ong has been on the committee since 2007 and has served as its chair since 2009. He is also a professor in residence of health policy and management at the UCLA Fielding School of Public Health. The legislatively mandated committee oversees the use of Proposition 99 and 56 tobacco tax revenues for tobacco-related research and tobacco control and prevention education. It advises the California Department of Public Health, the state Department of Education and the University of California on how to administer the Prop. 99 and 56 funded-programs. The state estimates that the two propositions combined will raise approximately $1.66 billion in fiscal 2018-19. The committee also provides recommendations to the state legislature on how to improve tobacco control and research. In addition, the committee publishes and updates the state’s master plan for tobacco control and research.